Welcome back folks, Today we’re going to demonstrate Dictionary Attack Websites Login Pages using Burp Suite. And will try to Crack Passwords. Burp Suite is an integrated platform for performing security testing of web applications. Its various tools work seamlessly together to support the entire testing process, from initial mapping and analysis of an application’s attack surface, through to finding and exploiting security vulnerabilities. It’s a java base web application, so it’s multiplatform where you can use it in windows OS, Linux OS and any other operating system. This is our target, We know they have login and register page. This is just a normal looking login page contains username and password fields. let’s take a look at source code. It doesn’t have any security restrictions and security checks so we’re good to go! Let’s fire up Brup Suite. First of all we have to turn on intercept, I hope you already know how to setup proxy with Firefox. If not let me show you how. To make Burp Suite work, firstly, we have to turn on manual proxy and for that go to the settings and choose Preferences. Then select advanced option and further go to Network then select Settings. And this way your manual proxy will be active as you can see below too. I’m intercepting Request from our target and i know that our target has a username with “admin” but we don’t know the password that’s what we’re going to Dictionary Attack. When you saw your request on Intercept right click on it and send to Intruder. 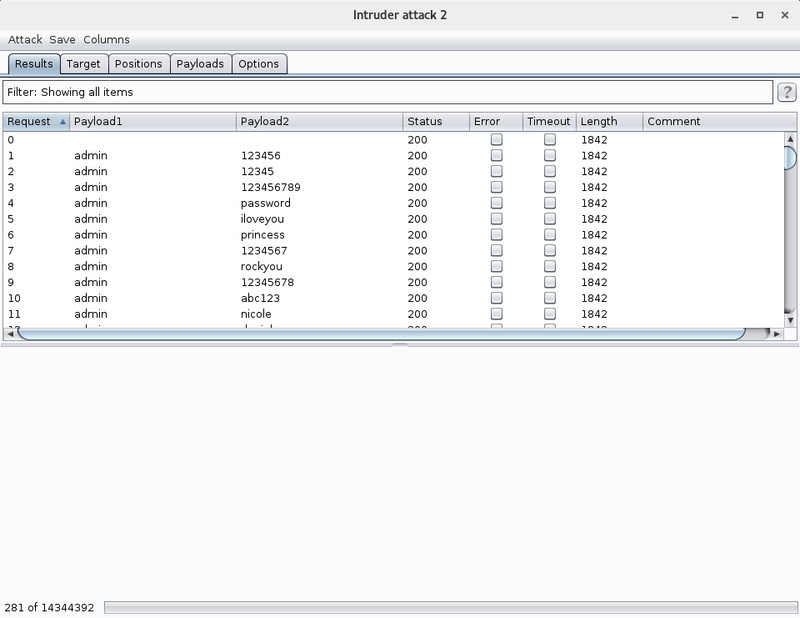 Brup Suite will add all he required information to start attack. After that click on Clear and Auto. Now we’re going to set our Payloads, Goto Tab Payloads and your Payload Set: 1 is username which we’re going to add “admin” because we already know our target username is admin. Payload Set: 2 will be our Wordlists for Password which we’re going to load here. Click on Load to add your wordlist which you want to dictionary attack I’m using rockyou.txt which is default in Kali Linux. Now we’re all set, It’s time to start attack and pray that we have his password in wordlists 🙂 ..
And that is how it can be done! Let me know your comments!